Fifty years ago today, a bullet ended Martin Luther King’s life — and changed the course of American history. Two nights ago, HBO aired “King in the Wilderness.” The 2-hour documentary showed a side of the civil rights icon and Nobel Peace Prize winner that’s seldom discussed today: a conflicted leader who, at the time of his death, was assailed by critics on both the left and right. Westporter Trey Ellis served as executive producer. He’s accomplished plenty in his life. 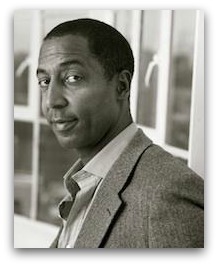 He’s written movies, books, TV shows and a play about the Tuskegee Airmen. He’s been a political pundit, social critic and Huffington Post contributor; won a Peabody and been nominated for an Emmy. He teaches at Columbia University, was a non-resident fellow at Harvard, and taught or lectured at Yale, NYU, and in Brazil and France. But this project was special. Ellis spent a year crisscrossing the country, interviewing 17 men and women who lived, breathed and molded the civil rights movement. John Lewis, Jesse Jackson, Marian Wright Edelman, Joan Baez — all spoke with candor and insight about Martin Luther King. Ellis also interviewed unsung heroes of the movement, like Diane Nash. A special camera allowed Ellis and his subjects to look directly into each other’s eyes as they talked. Each 2-hour interview was thrilling. “It was a very collaborative effort,” Ellis says of the film. He worked closely with director Peter Kunhardt (a 6-time Emmy winner) and co-executive producer Taylor Branch (who wrote the landmark trilogy “America in the King Years”). In the midst of so many gauzy, hagiographic 50th-anniversary retrospectives, this documentary is different. “When most people think of Martin Luther King, it’s ‘I have a dream,'” Ellis says. In the last year of his life, King was criticized by some whites for speaking out against the Vietnam War — and by some African Americans for his insistence on non-violence. His embrace of economic inequality issues also drew criticism. Ellis’ film examines all of that, unflinchingly. “King in the Wilderness” premiered in January at Sundance. 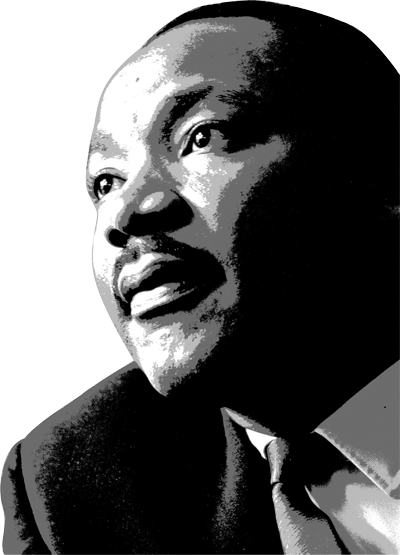 It was was shown at the Smithsonian’s Museum of African American History, and at New York’s Riverside Church, where on this day in 1967 — exactly a year before he was murdered — Dr. King preached a fiery sermon that denounced not just Vietnam, but America’s entire foreign and domestic policy. “It’s been a wild ride,” Ellis says of the past year. His adventure continues. Today he’s in Montgomery, Alabama — the city where King first preached, and helped organize the year-long bus boycott. Ellis is there working on his next project: an HBO documentary on the history of racial violence in America. That’s a subject as important today as it was 100 years ago. And on April 4, 1968. This entry was posted in History, Media, People and tagged "King in the Wilderness", HBO, Jesse Jackson, John Lewis, Peter Kunhardt, Trey Ellis. Bookmark the permalink. Sounds great. I don’t subscribe, however, to HBO and hope this becomes available via other outlets in the not-too-distant future. Another prime example of where Westport meets the world?